There's one name on everybody's lips right now within the Electronic and Bass scenes across the US and that name is G Jones! As his online career has pushed the boundaries and become a success, he's now more than ready to tour across North America and showcase all of his biggest releases to date! Come and be a part of the live and exciting crowd and watch the must-see artist of 2019! You can dance til you drop at Fillmore Auditorium on Saturday 27th April 2019! Tickets for the night are on sale right now, right here – don't miss out!! There's a kind of genre bending bass music happening right now and G Jones is a part of it! With his incredible Soundcloud page reaching high numbers of followers and plays, the talented artist is making crowds go wild at his live performances and ensuring a wide fan base that's ever growing! As he pushes the soundscape forward for a fresh look on underground music, in California. G Jones brings all of the best elements of bass music, with his glitchy, dubby, drum and bass and trap elements, it's no wonder that people just cannot get enough of him. His tracks have been doing the work for him, grabbing the attention of so many and getting the word out there, now his career is picking up and he is becoming bigger than ever before. Since 2012, the genre has been exploding not just in California, but all across the US and the UK and reaching further to a global status! 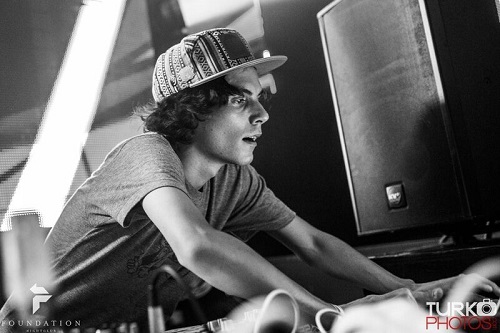 G Jones has jumped right onto the band waggon and hasn't let a moment passed, he has kept his releases coming… he has put some of his tracks into an album titled "Eyes" which is up online for everyone to listen to. Along with this incredible collection, he hasn't stopped there, he has been collaborating with several artists such as Grimblee, Mad Zach and more and the response has been explosive. As some of the biggest names will tell you, G Jones is the one to watch, if you love Zeds Dead, Dj Shadow, Pretty Lights, along with many others covering the genre of bass and electronic music, then be sure to catch this one while you can! As all of these huge names will tell you, G Jones is the next upcoming, worldwide name! Over the last few years G Jones has been pushing his tracks and building up his following so that he can take to the road to showcase himself in a live performance on a headline tour – 2019 is giving him that ability! Come and put your hands together for G Jones and get down to his mind blowing soundscape! "I’m mostly inspired to make music because music makes me really happy, and producing beats is pretty much my favorite thing to do. I’m inspired by all kinds of music, from stuff my friends make to stuff I grew up listening to. Recently I’ve been really inspired by the sounds of UK Grime."